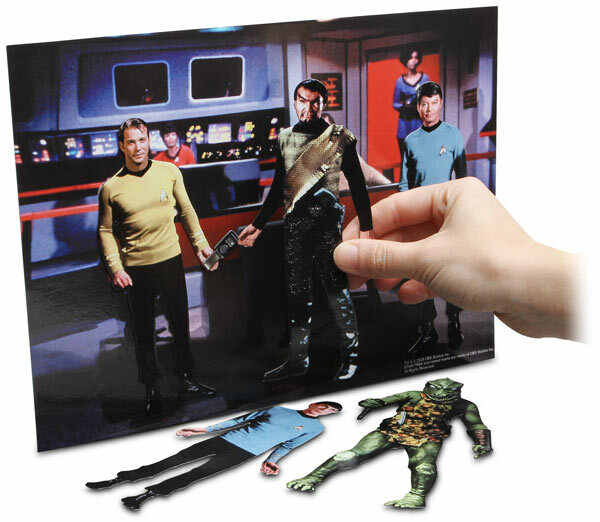 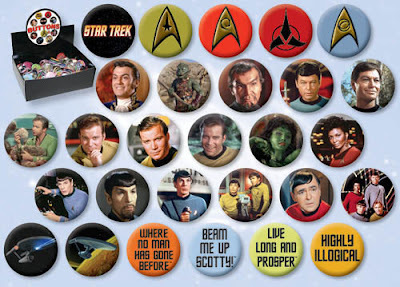 ThinkGeek have launched a new Star Trek magnetic storyboard. It's double-sided, featuring the TOS bridge or the planet from Arena, and comes with five characters (Kirk, Spock, McCoy, Kor, and a Gorn) plus eight accessories. Fun! 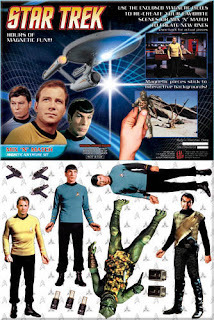 UPDATE: This appears to be made by Ata-Boy, which make many Star Trek products (though this is the most fun). 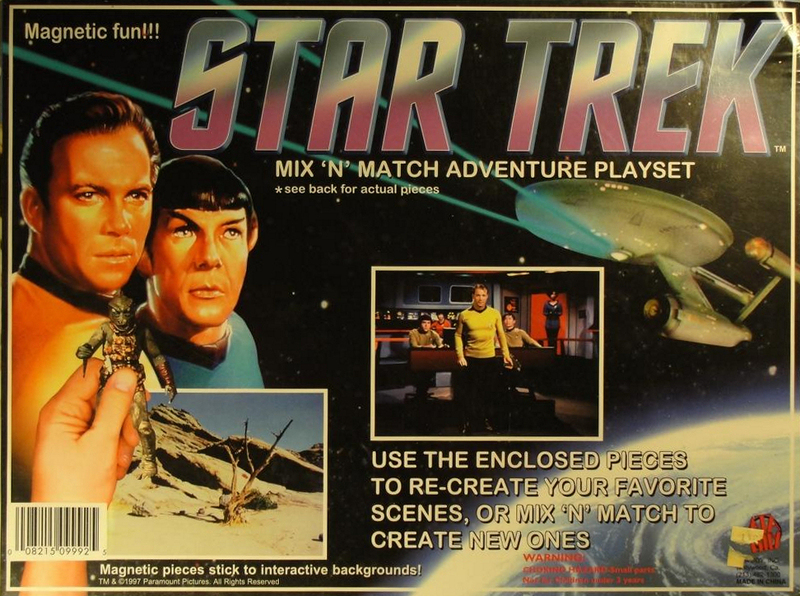 This set was first released in 1997, according to Zach Trek, and has recently been repackaged.